Renowned preacher and Senior Pastor of Champions Royal Assembly, Abuja, Bro Joshua Iginla, is taking his kingdom mandate of supporting the needy to an unimaginable level. The revered man of God, who is noted for his penchant for showering car and other gifts on the poor as well as touching the lives of the needy, last weekend reached out to people with enough hand-outs to assuage their suffering. One of them was an orphan who came to the church for prayers. Bro. 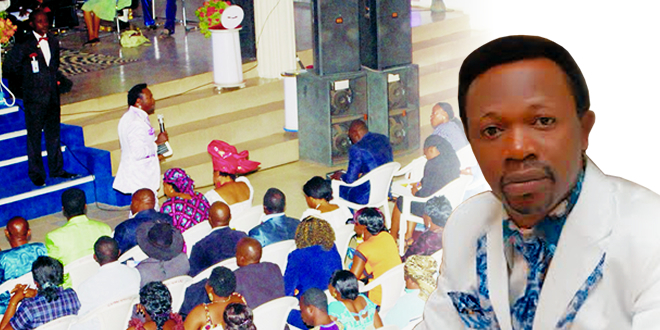 Iginla located her through prophesy and blessed her with N400, 000 and scholarship throughout her lifetime. The orphan had lost her mum when she was two months old and her dad died of poisoning when she was seven years old. The lady, who is from Benue State, was sent out of her house in Benue which made her relocate to Kano where she put up in a makeshift hut because she could not afford her house rent anymore. The cash gift was for her to get a decent apartment. The man of God had said he was devoted to empowerment and charity to the vulnerable particularly the widows, orphans and the less privileged in the society without minding their religion, tribe or sectional inclination.